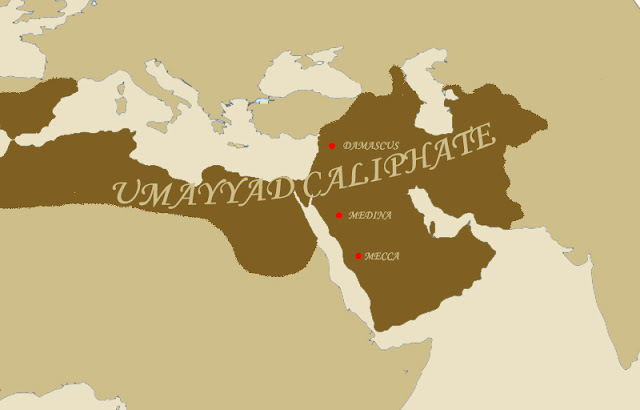 The Umayyad Caliphate was an empire that stretched to 3 continents within just less than a century. It ruled over Spain, Northern Africa, Mesopotamia and the Caucasus. It threatened the Byzantine Empire as well as Christian Europe. 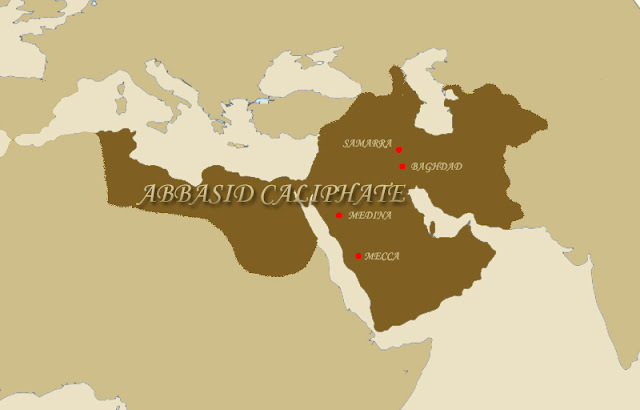 This imperial Caliphate traced its roots from the Umayya Clan of the Quraysh tribes of Mecca. When Islam emerged after the Prophet Mohammed’s revelation, they denounced him and even persecuted him. In time, however, they changed their hearts and embraced the religion as the Prophet was on the verged of conquering Mecca. The Umayya, though unpopular to early converts, served the Prophet. Uthman ibn Affan, a member of the Umayya, became a companion of the Prophet while another member, Muawiya, served as a scribe. When the Prophet died and the Rashidun Caliphs led the Islamic community, the Umayya served and obeyed. Muawiya with his brother Yazid fought for the annexation of the Levant, including in the lengthy Battle of Yarmouk in 636. Uthman even took the highest position of Caliph in 644, becoming the 3rd among the Rashidun Caliphs. But Uthman’s reign ended with his assassination in 656 after allegations of corruption and favoritism. Muawiya took the veil of leadership of the Umayya clan and clamored for justice to the new Caliph Ali ibn Abi Talib. His calls for justice went unheeded as Ali hesitated to punish the murderers who turned out to be his supporters. This withholding of justice led to a civil war where Muawiya challenged Ali’s position and the First Fitna began. In the end of the First Fitna in 661, Ali fell after being assassinated and Muawiya took the position of Caliph. His rise though saw the fragmentation of Islam into 3 – the Shias who supported Ali; the Sunnis who maintained the traditional election as a means of choosing a Caliph; and the smallest Kharjites who followed the words of Allah alone. Muawiya then centered his Caliphate in his longtime stronghold of Damascus and the Umayyad Caliphate began. Muawiya strengthened the Umayyad imperial Caliphate. He innovated based on the Sassanid and Byzantine examples to establish an efficient government. He established provinces and appointed governors either loyal to him or relatives. This governors owed their position to the Caliph and may be deposed at the Caliph’s will too. He also expanded the Diwans or departments to handle task vital to the maintenance of the Caliphate. He also organized an army made of loyal Syrians to secure the Caliphate’s internal affairs while sending Arab tribal armies to the frontiers and expand the borders. Hence, by the end of Muawiya’s rule, the Umayyad Caliphate regained the momentum of expansion and covered Persia, Central Asia, Northwestern India, Northwestern Africa, and even raided Constantinople several times between 669 and 678. His greatest and controversial order, however, remained his decision to make the positon of Caliph hereditary. He successfully imposed his will on this and when he passed away in 680, his son Yazid succeeded him. Yazid, however, lacked his father’s skills and charisma. He did not have his father’s strong leadership and many knew him as debauch as his drinking became notorious as Islam forbade alcohol. His ascension also led to the rise of rebellion in 680 by Hussein, son of Ali, who challenged the Umayyad’s claim to the caliphate. Hussein left Medina with a small entourage for Iraq where his bulk of supporters resided. Yazid showed his ruthlessness and ambushed Hussein while the latter’s party passed Karbala. Yazid’s ambush succeeded and Hussein perished during the attack. His death shocked Shias and the day of his death henceforth commemorated every year as the day called Ashura. Many continued to challenge Yazid’s rule including Abd Allah ibn al-Zubayr, a relative of the first Caliph Abu Bakar. His rebellion took over most of vital cities in Arabia including Mecca. Yazid, however, died in 683 before quelling the growing revolt of al-Zubayr. His son, Muawiya II, took the position of Caliphate at a young age. Within less than 2 months, he passed away due to an illness. He left the Caliphate without an heir. Thus, this ended the line of Umayyads descending from Muawiya I, which became known as the Sufyanids. Another branch of the Umayya Clan, however, placed to themselves the responsibility of ruling the Caliphate. Marwan ibn al-Hakam declared his candidacy as Caliph with the task of reestablishing order within the realm. His declaration in 684 of his Caliphate started the Marwanid line of Caliphs of the Umayyad. The Marwanid Umayyad Caliphate, however, lost its Caliph just after a year. His son Abd al-Malik ibn Marwan proved himself a capable commander. He reasserted internal stability within the Empire and continued once again the Umayyad conquest of lands of infidels. 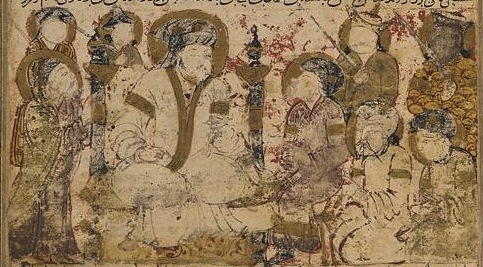 During Abd al-Malik’s reign, the Umayyad Caliphate annexed Central Asian cities of Bukhara, Fergana, Tashkent and Samarkand, as well as Mukran, Sidh, and Khwarezm. Besides military success, his reign too saw the Arabization of the Empire at the cost of discontent of its diverse people. Arab became the official language and used in government. Arabic coins called the Dinars soon became used in market. Emphasis on Arab culture and language strengthened across the country. On the sidelines, the Caliphate’s finances improve with the introduction of new currency. New wealth met patronage of cultural development such as in the field of architecture. Desert palaces marked the landscapes of the Caliphate’s deserts. Mosque became centerpiece of new Islamic architecture through its minarets and decorated Mihrabs. The Dome of the Rock was constructed during Abd al-Malik’s reign as a commemoration of the Prophets ascend from Jerusalem. Walid, Abd al-Malik’s successor, who reigned from 705 – 715 proved no different when it came to territorial expansion. India suffered incursions from the Muslims. Spain fell to the Umayyad though he punished those responsible for it for insubordination in 714. Much of the success of the Umayyad Caliphate came from its military conquest. Caliphs proved themselves by winning new territory and made them into strong rulers. Tax revenues from newly conquered lands, especially those with large non-Muslim population paying the Jizya (taxes for non-Muslims), filled the coffers of the Caliphate. This wealth then financed new military conquest that became a hallmark of the Caliphate. Military conquest gave Umayyads prestige and wealth, but when it ended, the Empire soon declined. In 717, the Umayyad failed to capture Constantinople and repelled by Emperor Leo III. Umar II’s reign from 717 – 720 saw a decline in finances caused by lesser war booty and the decline of jizya revenue brought by increasing number of converts. Tribal factionalism between Kalb and Qays Arab tribes resulted into internal strife. Hisham ibn Abd Al-Malik who reigned from 724 – 743 saw no different. Umayyad continued to be defeated in the battlefield. In 732, they lost the Battle of Poitiers that cemented the Pyrenees Mountains as the end of Islam’s expansion to Western Europe. In 740, Umayyad suffered defeat and expelled from Anatolia by the Byzantines. Soon, revolts rang across the Caliphate. Syria, Iraq, and the Khorasan. In Khorasan in particular a group called the Hashimiyyad challenged the legitimacy of the Umayyad. In 749, they declared Abu al-Abbas al-Saffah, a descendant of the uncle of Mohammed, allowing him to gain the support of Shias. 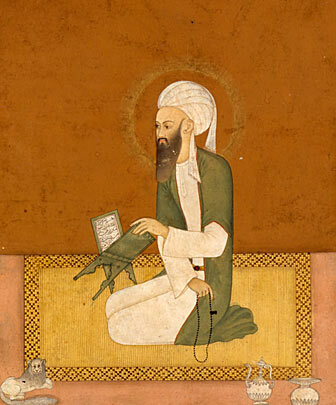 Thus, the declaration began the Abbasid Revolution. Caliph Marwan II failed to cease the rebellion in 750 after losing the Battle of the Great Zab River. Soon the Abbasid forces captured Damascus and killed all Umayyad family members. But they failed to kill all. An Umayyad family member named Abd al-Rahman escaped west towards Spain where in 756, he elevated the Emirates of Cordoba to the Cordoba Caliphate, making it the last vestige of the Umayyad until it too fell in 1031. Bowen, Wayne. The History of Saudi Arabia. Santa Barbara, California: Greenwood, 2015. Goldschmidt, Arthur with Aomar Boum. A Concise History of the Middle East. Boulder, Colorado: Westview Press, 2016. Mansfield, Peter. A History of the Middle East. New York, New York: New York: Penguin Group, 2013. Syed, Muzaffar Husain et. al. (eds.). A Concise History of Islam. New Delhi: Vij Books India Pvt. Ltd., 2011. Tucker, Ernest. The Middle East in Modern World. New York, New York: Pearson Education, Inc., 2013. O'Halloran, Kate. "Umayyad Caliphate." In The Encyclopedia of Islam. Edited by Juan Campo. New York, New York: Facts On File, Inc., 2009.